Established in 1979, Kaplan Paving is leader in commercial and residential asphalt paving services in Hainesville IL. We serve municipalities, schools, villages, country clubs, residential, commercial, and other clients in the Hainesville and greater Chicago area. We offer a range of services including driveway paving, crack filling, asphalt repairs, decorative asphalt paving, sealcoating, driveway replacement, parking lot pavers, line striping, and more. 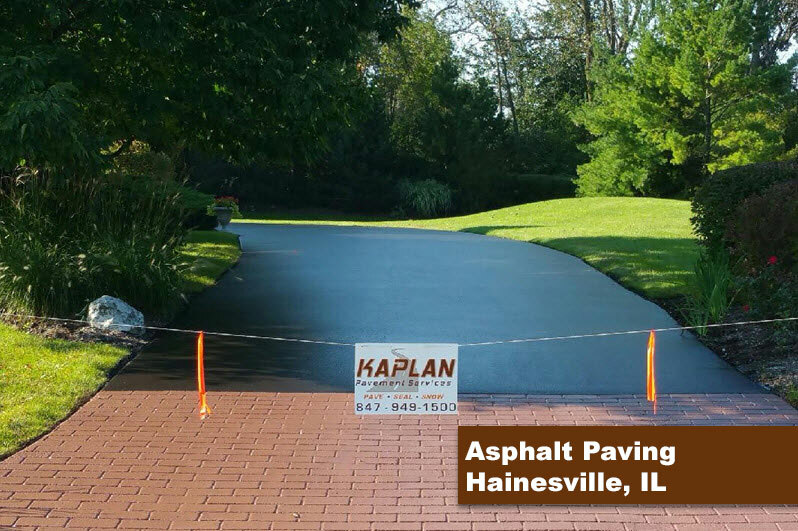 Kaplan Paving is the 1st authorized Street Print vendor in Hainesville Illinois area. We are leading the industry in custom stamped asphalt designs, asphalt paving and installations for all decorative asphalt. We have 100’s of satisfied clients in Hainesville IL including commercial and residential projects such as parking lots, driveways, walkways, patios, cross walks, golf cart paths and more.